Raynes Park YBC is a very small YBC, currently there are 24 members. In addition 12 have either bowled, or have qualified to bowl this year for their county. Quite an achievement from such a small YBC, due in no small part to the committee and especially our Coaches. 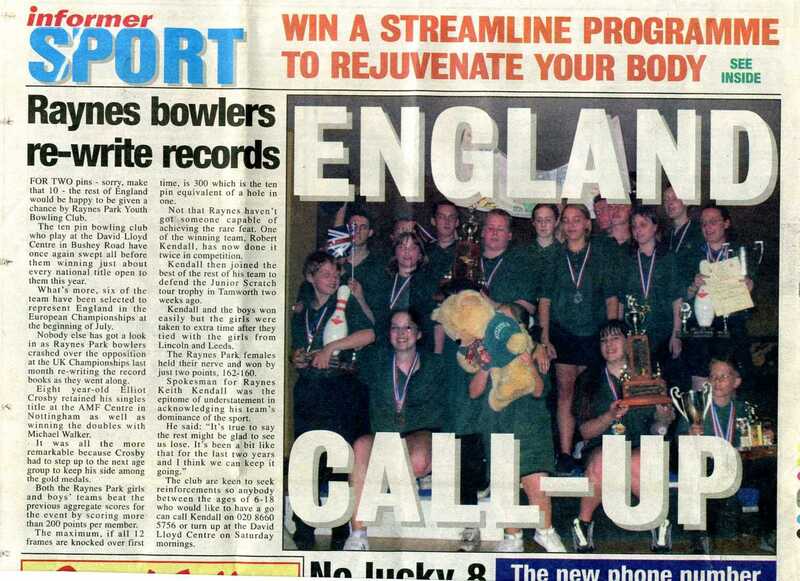 This is the article that appeared in Go Tenpin a couple of years ago which tells you all about the background of our Club...which still holds true today.